Analysts predicted a 1 cent decrease in shares, so this news comes as a great surprise to many. 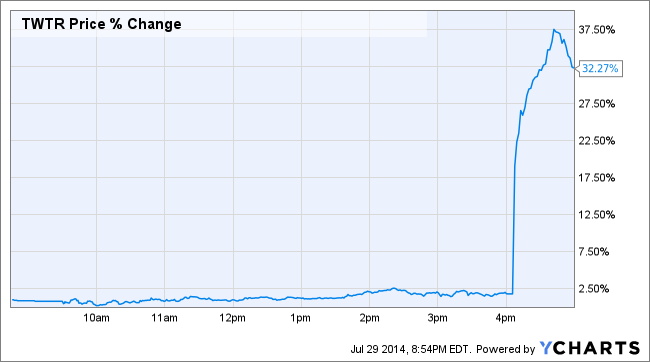 Twitter’s stock shot up after the press release was made public. But what was behind the platform’s improvement when user growth is slow? It seems like paid advertising is the answer. Despite slower than expected growth in user activity, the social service has steadily increased their ad revenue. eMarketer forecasts that Twitter will have more than $1 billion in ad revenue in 2014, up 84% from 2013. “What Twitter has is more important than reach right now. 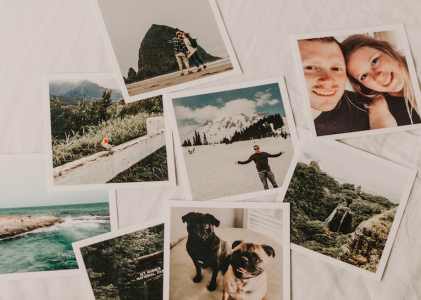 They’ve captured the in-the-moment space, which is incredibly important to marketers,” said Scott Zalaznik, vice president of digital at Sprint to eMarketer. That in-the-moment space, or real-time social sharing, is what Twitter is all about. During large scale events like holidays or the TV specials like the Grammys, real-time tweets allow marketers to target an engaged audience with hashtags and respond and report on what’s happening live. 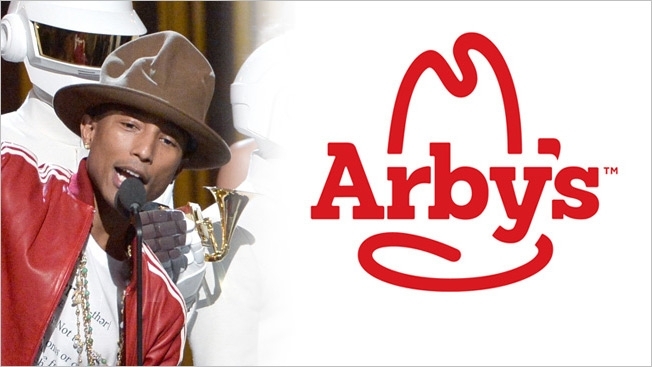 For example, during Pharrell Williams’ Grammy performance, Arby’s Restaurant tweeted: The tweet was so popular other brands like Pepsi and Hyundai retweeted it, calling it a Grammys Win. Plus, Pharrell Williams responded to the tweet the next day, which gave the tweet another 20,000 retweets and countless impressions. This tweet even led to Arby’s and Pharrell partnering to auction the hat for charity, and the entire process was documented and shared through Twitter. This is the kind of engaging cross platform advertising Marketers want to pay for. 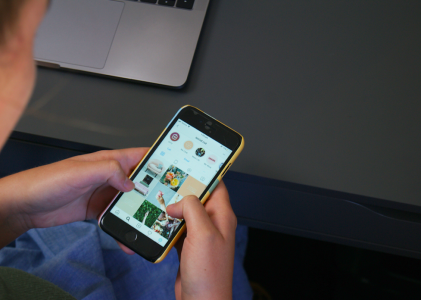 Real-time social sharing works hand in hand with TV advertising. Not only are Twitter hashtags dominating TV screens during both commercials and scheduled programs, but Twitter’s partnership with Nielsen for the “Neilsen Twitter TV Ratings” tracks the social impact of programs by calculating the number of tweets, accounts tweeting and impressions related to a given show right after the show airs. For example, during the week ending March 9, 2014, AMC’s “The Walking Dead” was the top-ranked series, with 307,000 tweets by 146,000 different users, reaching an audience of more than 4.2 million people. These trackable numbers give advertisers somewhat of an understanding of their ROI. These are the kind of metrics that excite advertisers and that’s why more and more Twitter Ads are getting posted during special events. “For events like the Super Bowl, [Twitter] has become a regular part [of our advertising] year over year,” said Raashee Erry, media and connections planning manager at Volkswagen of America, reports e-marketer. Twitter surpasses even Facebook in their cross platform TV tie-ins, and that’s a huge selling point for Twitter ads. 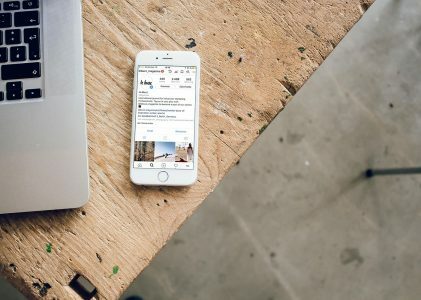 Because Twitter is still relatively new, the company is eager to work closely with advertisers in terms of creative development, media strategy and ecommerce partnerships. Unilever, for example, committed an estimated $500,000 to Twitter ads related to the Super Bowl after getting personalized guidance from Twitter executives. This type of coaching and personalized assistance is common for Twitter advertisers, and it’s another reason marketers are satisfied with Twitter ads. 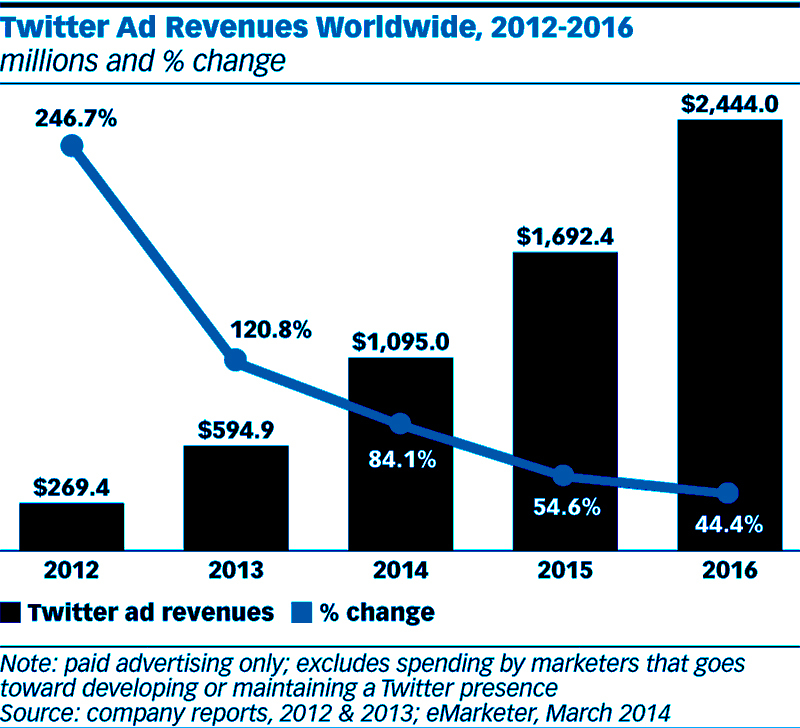 With everything Twitter offers to attract advertisers, advertising revenue is predicted to keep increasing. Advertisers have found a high quality engaged audience to target with Twitter and even if the user growth is slow, it’s still growing, and a growing platform is one advertisers want to collaborative with. Advertiser support is what helped Twitter surpass expectations this quarter and Twitter Ads can keep Twitter performing well each quarter.